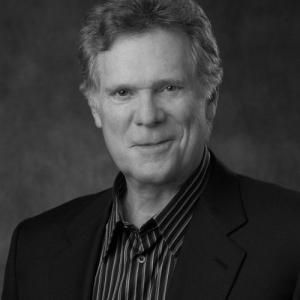 American entrepreneur, international speaker and acclaimed author, Keith Cunningham is regarded as one of the foremost authorities on business mastery. With more than 40 years of business and investing experience, Keith has taught critical business skills to thousands of top executives and entrepreneurs around the world. Keith is an expert at helping business owners turn fledgling businesses into highly profitable companies with explosive growth. In Keith’s Business School for Entrepreneurs courses, he teaches detailed strategies you can implement even in today’s volatile economy. Keith is a dynamic speaker with a sense of humour that will leave you equally as entertained as educated. He is the only speaker who appears with Tony Robbins at Robbins’ Wealth Mastery, Business Mastery and Platinum events. “Keith Cunningham is a national treasure. I would move heaven and earth to work with him!” Tony Robbins. Keith has launched numerous companies, negotiated scores of million-dollar deals, and raised and structured hundreds of millions of dollars for his business ventures. He has been an active business owner for most of the last 40 years. He knows business and investing from every angle – from raising money for start-ups and refinancing, to operations, to evaluating businesses, to investing in businesses and the market. “The most powerful skill we need to become great business owners is understanding and measuring the numbers so that we have better optics on where we are, what’s wrong and what to prioritize to fix it.” Keith J. Cunningham.